Most of the major attractions are within easy walking distance from the hotels, restaurants and bars. There are plenty of historical and cultural sights to choose from, like the National Museum (Te Papa) and the City Gallery Wellington. If you are a "Lord of the Rings" fan then you should definitely take the tour around the location where the movie was filmed. There are also many great excursions to choose from such as a trip to the Somes-Maitu Island or exploring the wildlife at Karori. The national museum of New Zealand features five floors of interactive exhibits and offers an insight into everything from natural history to Maori culture and European immigration. Don’t miss ‘bush city’ – the museum’s urban rain forest full of native plants and wildlife. 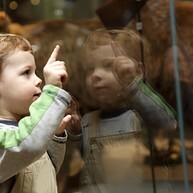 The museum is recognized as a world leader of interactive and innovative museum experiences. 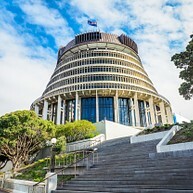 Take a one-hour guided tour of the Parliament Buildings to see New Zealand politics at work and to explore the Beehive – one of the most famous buildings in Wellington. 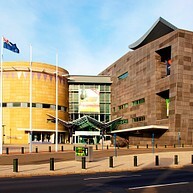 Wellington’s main art gallery hosts an ever-changing collection of international touring art exhibitions and contemporary local works. There is always something interesting to see, and it's a great place for a rainy day. 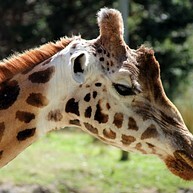 The zoo, founded in 1906, is now home to over 500 animals in modern enclosures. Learn more about the animals from the daily zookeeper talks and get up close to pandas and cheetahs with the zoo’s ‘close encounters’ experience. Head up in the cable car for some of the best views of Wellington and the Hutt Valley. The upper terminal is also home to the Botanic Gardens and a free museum detailing the 100 year history of the Wellington Cable Car. Discover some of New Zealand’s rarest native wildlife just ten minutes from downtown Wellington, in a unique sanctuary where native bush is being restored and endangered species are breeding once again. Visitors can roam freely inside the sanctuary or take advantage of guided day or nighttime tours. Cruise Wellington Harbour and visit the nature reserve of Somes-Maitu island, or continue on to Days Bay, which boasts one of Wellington’s best swimming beaches. These ferry trips, held by the East By West company, are a great way to explore the city and areas around. 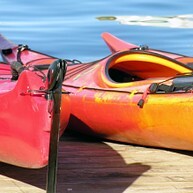 Explore Wellington’s waterfront in your own kayak, or hire a pair of inline skates. The hire centre also features a 13 metre high indoor climbing wall, designed for beginners as well as more experienced climbers. Learn about Wellington’s social and cultural history with interactive exhibitions, a collection of over 95,000 historical items, and films on the giant cinema screen. Join a full or half day tour by Flat Earth Tours and visit the locations used during filming of The Lord of the Rings trilogy. At this tour you get the chance to explore locations such as Rivendell, where Frodo recovers from his knife attack, the Anduin River, and the Gardens of Isengard, to name a few. This is a must for any "Lord of the Rings" fan. 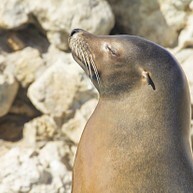 Enjoy a great tour where you get the chance to explore the wildlife and admire fabulous scenery. 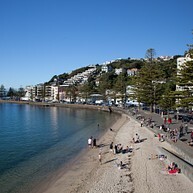 The tour includes breathtaking views of Wellington city, seal safari, coffee break, four wheel driving on the beach in Sealmobiles and much more. 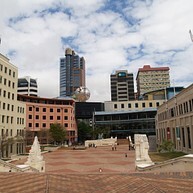 Wellington i-SITE Visitor Centre is the pick-up point, where you will meet your guide. Old St Paul's is an attractive old wooden church and is a fine example of 19th century Gothic Revival architecture. The interior is enhanced by splendid stained glass windows and is one of New Zealand's most important historic places. You can also join a guided tour and listen to interesting stories of the church. 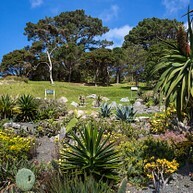 Stroll around and admire beautiful plants and flowers at Wellington Botanic Garden. It has a huge range of plant species from all around the world and the Begonia House covers tropical and seasonal displays of orchids, tuberous begonias, cyclamen, ornamentals and others. If you are hungry or thirsty, head over to the Rose Garden Café where you can have lunch. Whether you take a walk by the sea or go for a swim, either way this place offers beautiful views and is a lovely place to enjoy your holiday. There are plenty of ice cream parlours nearby if you would like to eat something sweet. It is close to bars, restaurants and too. Mount Victoria is a beautiful place for a nature hike; so beautiful, in fact, that it has been used as filming ground for some scenes of the Lord if the Rings movie. Expect stunning, birds-eye views over the city and bay. Come at night when the city lights glimmer in the distance and savour the moment. 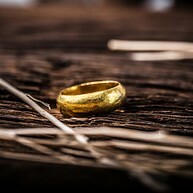 This mix of shop and museum is a mecca for Lord of the Rings fans, who flock to this venue to see behind-the-scenes insights and all sorts of this legendary movie's memorabilia, as well as purchase various souvenirs and collectables.